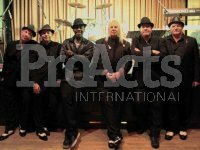 There’s no better time and place to party these days than Spain during one of the country’s many amazing Fiestas ProActs International entertainment agency on the Costa Blanca can help with these great fiestas. Whether based on religious devotion or the secular love of a good party, Spain organizes festivals like few can. From the small pueblos to the big cities every locale boasts at least a couple of good parties on the calendar. Check the local tourism office (oficina de turismo) for the latest on what’s happening or keep reading for the general gist of the big fiestas. 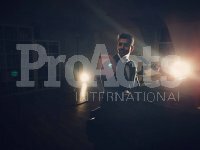 Also check out ProAcst International Entertainment Agency. Once you’ve made the “difficult” decision to join Spain’s ritual merry-making, make your hotel reservations as soon as possible. How can we stress this enough? Many local hotels and hostels fill up several months in advance and entertainment agency’s get booked up. Otherwise you may be able to book a place to stay in a neighboring town and use that as your base for enjoying the festivities, particularly if you arrive by car. Otherwise, make sure you read up on the all-important public transport schedules so you don’t miss the event, arrive late and miss part of the action or find yourself squashed on a train beyond your comfort level. Note that as you approach a fiesta area by train that the party begins about 100km before arrival. Side note for the civilized: You can be certain that at Spanish festivals the beer will keep on flowing the entertainment will be great and that the toilet paper will be the only thing to run out. Consider tucking a packet of Kleenex in your purse or pocket or be prepared to do without. As for beer, there are almost always dozens of immigrants, often Morrocans or Pakistanis, selling cheap beer from either a cart or a plastic bag. The standard is 1.50€ or 2€ for an Estrella, but they’ll sell you Estrella knock-off beers for 1€. Negotiations can be fruitful. I recommend against knock-off beer hang-overs, although Estrella hang-overs aren’t much better. 1: Semana Santa Date: April 1-8th City:Sevilla Fiesta: Sevilla’s fiesta of Semana Santa (Holy Week) is likely the most famous fiesta in the world. There are over 55 church brotherhoods some dating back to the 13th century and they all take part in this Spanish fiesta carrying over 115 different floats (pasos) through the streets of Sevilla. Nazarenos (members of the brotherhood who dress in robes and cone shaped hoods to hide their identity) accompany the floats during the march and in some cases number more than 2,000 in certain processions. Every procession is unique with some such as El Silencio, marching in silence and without music. Almost every procession includes an image of Christ which is different depending on which scene it depicts from the bible as well as an image of the Virgin Mary who is always in mourning for the death of Christ. For many people living in Spain, the Semana Santa Fiesta means more than a procession in the streets but rather it marks the arrival of spring in Sevilla with a week long celebration that runs throughout the entire city. 2: San Fermin (Running Of The Bulls…One of Spain’s most famous, if not THE most famous Spanish Fiesta) Date: Early July (one week long) City: The city of Pamplona, capital of the Navarra region near the Basque Country (Northern Spain). Fiesta: The Running Of The Bulls is an incredible week-long bull running and bullfighting festival. Every morning at 8am the world’s bravest (or craziest depending on how you look at it) run in front of a large group of angry bulls. This is an amazing event to watch as people push each other out of the way trying not to get rammed by the bulls or trampled upon. The actual run lasts about half an hour or a bit longer and is an action-packed kick start to the partying that ensues afterward. Sometimes many of the people participating in the run come straight from the bars the night before, providing for some pretty exciting entertainment if you’re a spectator. The Running of the Bulls is one of Spain’s most enjoyable fiestas with people from all over the world traveling to take part in the festivities. Check out Hemingway’s literature before you arrive and remember the locals call it “San Fermin”. 3: La Tomatina Tomato Fight Date: Fourth Wednesday in August City: The small town of Buñol an hour outside Valencia. Fiesta:The Tomatina Tomato Fight is probably the world’s largest and craziest food fight. Thousands of people gather in the streets of Buñol to fling tomatoes at each other. The origins of the festival are unknown and to most people who like throwing food at each other the origins of La Tomatina are largely unimportant. 4: Las Fallas Date: A five-day event leading up to Saint Joseph’s Day on March 19th City Valencia on the Costa Blanca Fiesta: Imagine the greatest bonfire you’ve ever seen and multiply it by 100; This is Las Fallas. During this Spanish Fiesta each neighborhood traditionally gets together to build giant puppets which are later set on fire. There is usually a satirical nature to these puppets although this is not always the case. As well, not all the puppets are lit on fire. There is a public vote to decide on the best puppets of the year and these puppets are spared and taken to the Museo Fallero, Valencia’s Fallas museum to be put on display. 5: Feria de Sevilla Date: Two weeks after Semana Santa (towards the end of April). This Spanish fiesta runs from midnight on Monday until Tuesday morning and finishes on the following Sunday night or Monday morning. City: Sevilla, although other major centres have mini-feria de Sevillas– also good fun. Fiesta: The Feria de Sevilla is a microcosm of everything Andalusia is famous for: flamenco, bullfighting, horses and sherry. During this Spanish fiesta local wealthy families spend a lot of money on renting marquees (Casetas in Spanish) for their friends and families to enjoy. The marquees vary greatly with some being open to the public and many remaining private functions. Side note for the civilized: You can be certain that at Spanish festivals the beer will keep on flowing and that the toilet paper will be the only thing to run out. 6: Carnival Date: This fiesta in Spain takes place at the end of February during traditional carnival time. (The few days leading up to the start of Lent) City: This Spanish fiesta takes place all over the country. It is particularly famous in Tenerife and Cadiz although it also has a strong tradition in the gay district of Chueca in Madrid and in Sitges near Barcelona. Ciudad Rodrigo near Salamanca also has a popular carnival although it is very different then the ones held in other cities. Fiesta: The Carnival in Spain (especially in Tenerife and to a lesser extent in Cádiz) is second only to Rio de Janeiro in terms of extravagance. Each city has a slightly different take on the carnival but what they all have in common is the incredible party and continuous celebrations that last for several days. 7: Festa Major de Gracia (Feast of The Assumption) Date: August 15th-21st City:Barcelona Fiesta:The Festa Major de Gràcia is one of the most popular celebrations in Barcelona. (and a personal favourite) This weeklong fiesta is held in the village-like neighborhood of Gràcia and all year long the residents of Gràcia prepare for this Spanish Fiesta creating elaborate decorations with themes such as marine life, the solar system and many others. During the day tables are set up for the traditional communal lunches and board games but it’s during the night when the Fiesta truly comes alive as thousands invade the streets enjoying the outdoor concerts, parties and overall good time. Beware of the cops known as the Mossos d’Esquadra however, as they get rough at about 4am. 8: Cristianos y Moros (Moors and Christians) Date: The specific dates for this Spanish fiesta depend on the particular city it is being celebrated in as it occurs at various times of the year. City: The Moros y Cristianos fiesta is most popular in the Alicante region but is popular throughout much of southern Spain as well with a number of events taking place in Granada. Fiesta: The Cristianos y Moros celebration (Moors & Christians) is a slightly tongue-in-cheek commemoration of the Moorish control of Spain and a celebration of the subsequent return to Christian rule. Participants condense 700 years of Moorish rule into an evening’s worth of mock battles centered around a papier-mâché castle erected either in the main square or on the beach. In the first battle the Moors take control of the city and in the second battle the Christians take the city back. Not exactly politically correct but good fun. 9: Semana Grande (Big Week) Date: Third Week in August City:Basque Country in particular in Bilbao. Fiesta: Semana Grande (Spanish for ‘Big Week’, Aste Nagusia in Basque) is another ‘general’ Spanish Fiesta much like the Feria de Sevilla but a little less traditional. 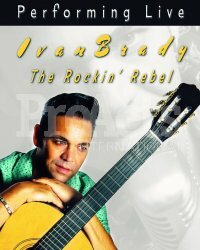 A big attraction of Semana Grande is the large number of concerts including rock, pop, classical, jazz and so much more. Each night there is an important international firework competition and a definite must see is the famous strong man competition. Another iconic sight at the event are the giant puppets. 10: Tamborrada Fiesta Date: 24 hours beginning at midnight on January 19th City: San Sebastian Fiesta: Without a doubt this is the noisiest fiesta in Spain. This drum festival in conjunction with the huge parades that take to the streets throughout the night and for most of the following day, characterize this Spanish Fiesta. There are two sides to this festival, the organized processions and the ‘free for all’ drum bashing which anyone can participate in. These ten Spanish fiestas are only a glimpse into the amazing parties held across the country all year long as Spain plays host to a ton of fiestas and incredible concerts. Other festivals that take place in Spain are the Sonar Festival of Advanced Music and Multimedia Art, the Barcelona International Jazz Festival, the Festival of World Music, Fib (Benicassim Music Festival – good times, but bring sun protection for you and your tent) and many more. These festivals are usually not free but well worth your while.